Kickstart your career with confidence. If your college is a member of the AOI you are eligible for a discount by selecting them from the dropdown below. IMPORTANT: Please make sure to select to pay monthly or yearly ‘if your college is a member of the AOI’ in the Billing Period option above so the discount takes place, if your college is not a member please select “My college is not member of the AOI”. Our student membership puts you on the right track at the start of your career. Unlimited access to the Members Helpline via phone or email Monday-Friday 10am-4pm for tailored direct information on licensing, ethics, contracts and professional practice. Anything at all just drop us a line! Access to Members-Only web content including extensive information on professional practice, industry insights, legal documents, features, contracts, copyright, finance etc. Fortnightly newsletter with illustration news, events and offers. Free Subscription to Varoom Magazine for the length of your Membership. Varoom is the magazine published by the AOI and offers a unique mix of industry insights and critical comment. Inspiring, provoking and a great read, its delivered direct to your door twice a year. 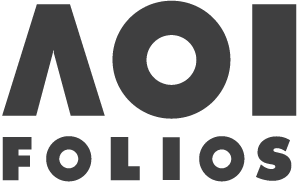 1-1 Portfolio Consultation is exclusively available for members at £30. This one hour session can be face to face in Somerset House, or via Skype. Sessions can respond to your particular needs, but often explore how best to prepare your portfolio to suit your desired market, or how to successfully change direction from your current style. Free one hour consultation with registered Chartered Accountant Nick Weeden. In your hours consultation you can expect; a basic overview of how to keep records of your business income and expenses, guidance on how to register with HMRC, some basic rules on tax returns, self employed tax and National Insurance and tips on how to avoid the traps of self-employment. Exclusive member opportunities and discounts on events, products and publications. Promotion of news, commissions, exhibitions and projects through the AOI Social Media channels. 10% discount on Bikini Lists, giving AOI members access to the most accurate, up-to-date database of Creative Buyers in the World. Please note that Student members with Folios are not eligible for the free images with the Directory of Illustration. You must currently be in full time education pursuing an illustration or design degree and will be asked to produce proof of enrolment. Illustrator Membership Our starter package offering unparalleled support. Industry Membership Progressing the industry and your business together.